How long do I have to file a claim for Michigan No Fault medical benefits? When people are seriously hurt in car accidents, time is of the essence. A common question I receive as an accident attorney is, “How long do I have to file a claim for No Fault medical bills?” Last week, I received a question regarding No Fault medical benefits specifically. Hope my answer helps. Q. How long do I have to file a claim for Michigan No Fault medical benefits? A. You have one year from the date of the accident to file a claim for Michigan No Fault medical benefits with your own auto insurance company. Home and vehicle modifications if you’ve become disabled. 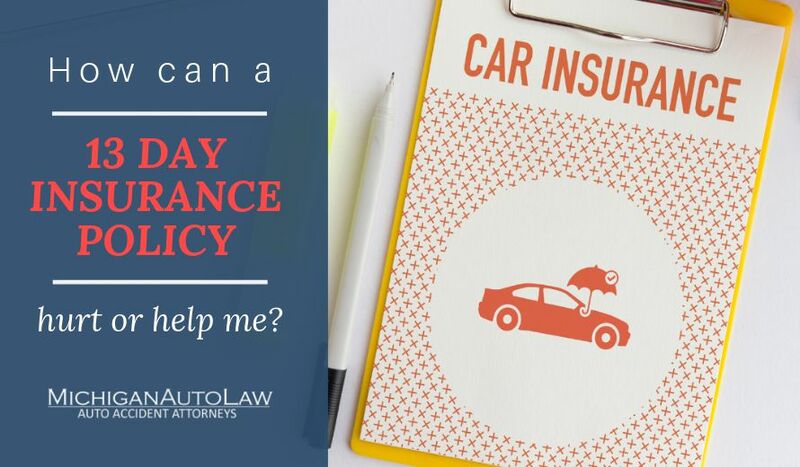 As I discuss in my webpage on 9 things to know if you’ve been hurt in a Michigan car accident, your claim for your No Fault insurance benefits is called a first-party auto accident case. Again, all Michigan auto accident victims have only one year from the date of the accident to file an application for benefits, regardless of age or competency. You don’t get a second chance to file past the one year if you file with the wrong insurance company. This is why I normally recommend you file as early as possible, list out all of your injuries, even the ones you consider more minor and that you think might be resolving (sometimes they continue to progressively worsen over time, and you cannot notify the No Fault PIP insurer of a “new injury” past the one-year statute of limitations and expect they will pay for it without a fight. And speaking of a fight, I also recommend you at least talk with an experienced automobile accident attorney in Michigan to review your legal rights. Sadly, as I’ve written previously, you cannot rely upon the insurance company to tell you everything you’re legally entitled. Finally, all incurred No Fault benefits must be paid (by your insurance company, or the auto insurance company of the highest No Fault insurance priority under statute) within one year of the date the service or bill is incurred. If an incurred expense remains unpaid by your auto company after one year, and an application for No Fault benefits has not been filed on your behalf, then it becomes time-barred – no exceptions. This means it’s too late to ever hire a lawyer and file a lawsuit to recover those benefits that you are owed. Even if you think your injuries are not serious, I always advise people that it’s always best to fill out an application for benefits. It’s better to be safe than sorry. If you have questions, it’s always a good idea to run any questions by an experienced auto accident lawyer, who can even help you fill out your application and file the claim for you. Feel free to call our attorneys for free advice on your No Fault claim at (800) 777-0028.